Most homeowners do well at making the house look nice by painting, cutting the grass and fixing anything that breaks. But, a home that is ready for sale has to have more than just a pretty face. 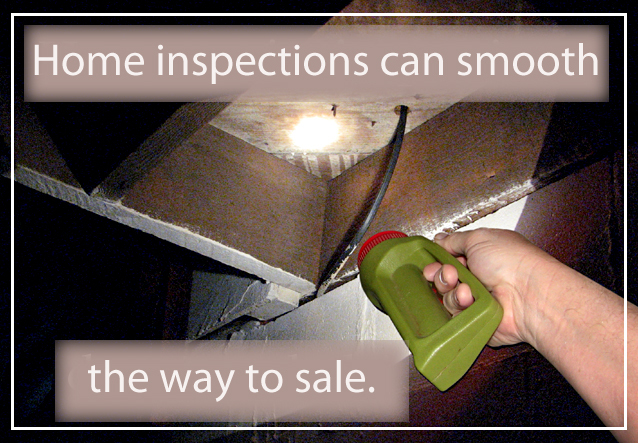 Before you list, consider spending a couple of hundred dollars to have your home inspected by a professional. He can spot conditions that cost little to repair now but could put off prospective buyers. Angie Hicks (Angie's List) says people are too busy with their lives to deal with prevention. Her recommended inspectors report that, typically, they find one or more conditions that the homeowner didn't know about. Inspectors often see do-it-yourself or handyman repairs that were done improperly and are unsafe. Electrical and plumbing work are two of the most common building code violations. Heating and air conditioning systems are examined and recommendations made. Homes of all ages benefit from exterior maintenance to keep moisture from creating issues and concerns. People who don't have the time or inclination to crawl about the attic, basement or crawlspace should know that these are some of the hundred or more large and small areas a home inspector examines. Inspectors frequently uncover problems completely unknown to the homeowner. One inspector noted that a bathroom exhaust system was sending so much moisture into the attic that the 2x4s above it were rotting away. He recommended that a roof vent be installed in the area. That solved the problem. Another inspector discovered that because of a slow plumbing leak, the frame supporting a toilet had almost disintegrated. The whole toilet (and anyone on it) could fall into the crawlspace at any time. Fixing the big problems before you list can make your home much more attractive to a buyer. Visit the American Society of Home Inspectors (ashi.org) to find an inspector in your area.